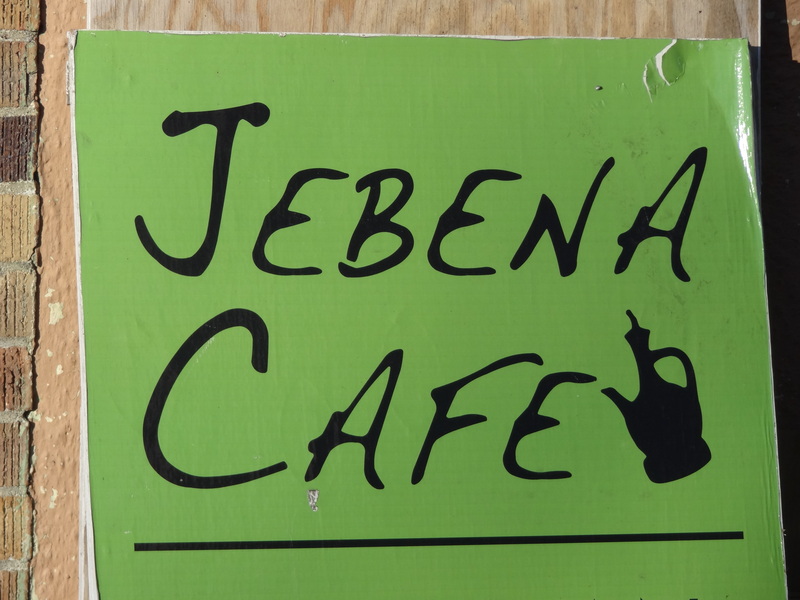 Jebena Café is a small, unassuming Ethiopian restaurant located in a rundown looking strip mall on Pinehurst Way. 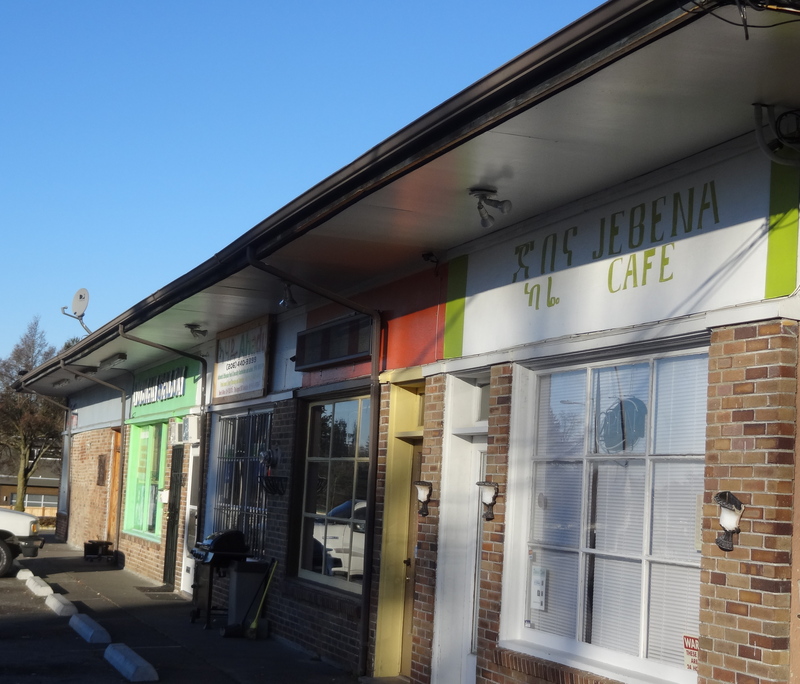 I’d passed by the café for a few years as I live within walking distance, but it wasn’t until recently, after scouring Yelp and a few other sites that I realized I may be missing out on one of the best restaurants in North Seattle. I love when someone else prepares my food, so I’m constantly in search of new places to eat out or grab food to go – especially places near my house. After a few months of talking about wanting to try the restaurant, I finally secured plans with a few friends. A, L and I meet up at my house for a few drinks before ambling over to the restaurant a little before 8pm on a Friday evening. The spot closes at 8:30, so I wasn’t exactly sure what sort of reception we’d receive coming in so late. Martha, the owner was exceptionally sweet, welcoming and kind. We explained that this was not only our first time at her restaurant, but also the first time any of the three of us had ever tried Ethiopian. We ask her to choose three different Ethiopian beers for us to try. They’re sweeter than the Northwest IPAs I prefer, but the experience of trying some authentic imported beer adds to the experience. Martha talks us into an appetizer and has the kitchen begin preparing an order of Qateqna, which is a “special spicy Butter and Berbere mix brushed on top of crunchy Injera”. Injera is the spongy flatbread that is used to scoop up entrees but the Qategna is crisp, crunchy and delectable as it’s sort of fried up with the butter and Berbere – a mixture of spices commonly found in many Ethiopian and Eritrean dishes. We each order a main dish – one lamb, one chicken, and one vegetarian combination which is described on the menu as “A delicious blend of Shiro Wot, Cabbage, Red and Yellow Lentils, Spinach, and our home made Salad”. “Do you want it all on one plate or individual?” she asks. The quick consensus is that we’d love it all on one plate since we’re planning on tasting and sharing everything. A few moments later, Martha comes back and apologizes. “I’m sorry. Please forgive me if I forget your order. I had a brain tumor and sometimes forget”. She confirms our order and disappears into the back. In almost no time, our massive spread of food is brought out on a huge platter. We each get our own large piece of injera. We dig in to the meal, scooping up the different entrees, comparing and contrasting the flavors. Each dish tantalizes and we try to savor every bite, every minute of this first Ethiopian culinary adventure. The assorted vegetables are all delicious and unique in flavor – the spinach and cabbage being especially memorable and sure to be ordered next visit. The chicken is still on the bone and served in a tomato-based sauce. The three of us agree that the hot lamb is our favorite. Worlds of flavor exploding in our mouths with each bite – the sort that leaves you dreaming of that taste until you’re able to revisit the dish again. We finish gorging ourselves and take a moment to soak in the experience. Taking our time to get ready to leave, Martha inquires if everything involved with the meal was satisfactory. 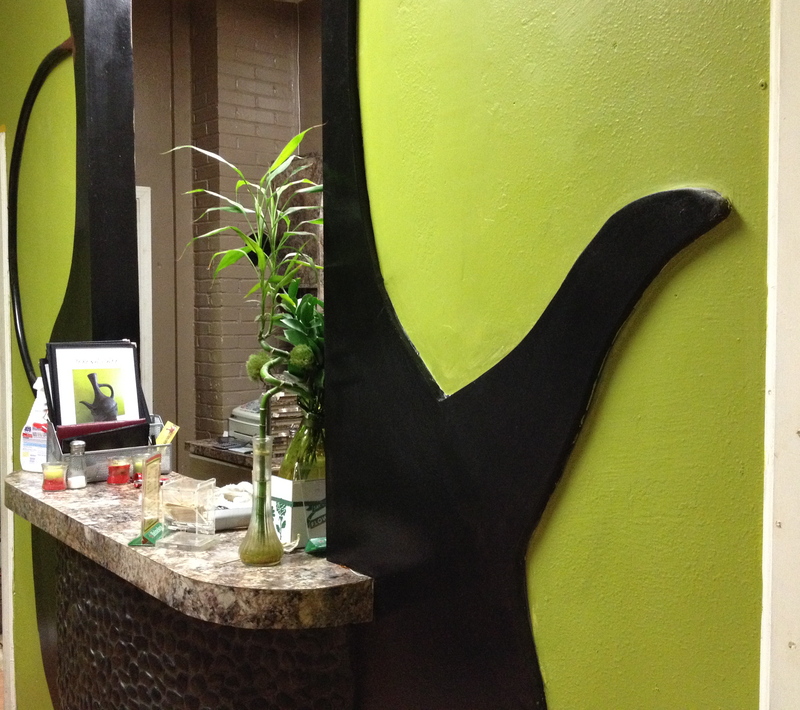 Unanimously we agree – the food, atmosphere and service were all outstanding – each aspect exceeding our expectations. We say goodbye, vow to return and profusely thank our host for the warm hospitality, magnificent feast and extraordinary introduction to Jebena Café and Ethiopian cuisine. Next time, you should try some Eithiopian honey wine, if they have it. And injera…man, if all my clothes were made of injera, I’d be a full-time nudist. Also, I had never heard of Pinehurst way. I learn something new every day. What else is going on up there?